« Should we be polite in our criticism of science ? 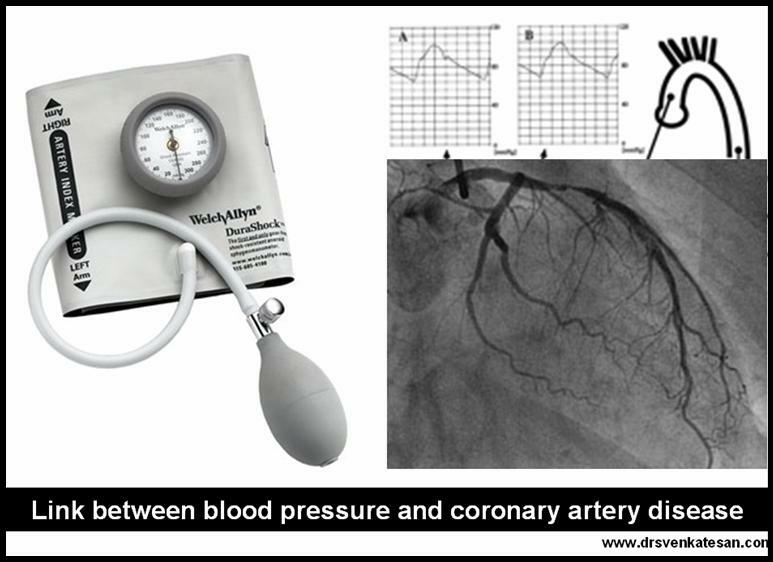 What is the link between hypertension and coronary artery disease ? Hypertension is considered a major cardiovascular risk factor.Hypertension can have multiple physiological and pathological effects on heart . The common response to raised arterial pressure is the hypertrophy of the left ventricle ( LVH). This can increase the risk of heart failure in few ( Mainly diastolic failure) It is a leading cause for stroke and less often a coronary event. What the medical community refers to hypertension , may not be really so inside for the coronary arteries. The relationship between brachial cuff blood pressure and the intra coronary pressure has very little linear relationship. So one should recognise it is the intra coronary hypertension that has a immediate impact on the coronary events. Now only , we are beginning to understand the complexities of the relationship between HT and CAD. If we analyse a series of individuals HT per se is not a very serious risk factor for CAD* , but it is a number one risk factor for stroke. Why HT in isolation often result in stroke , rather than a MI ? While HT is notoriously common to result intracerebral hemorrhage, the same HT would not cause intramyocardial bleeds . Why ? What is protecting the myocardium against this complication ? The exact mechanism is not clear.Acute surges of blood pressure can increase the risk of stroke many times but rarely precipitate a coronary event( But may cause a LVF) . The reasons could be the coronary endothelial shearing stress is less than the cerebral blood vessels.Both cerebral and coronary circulation has auto regulatory mechanism . The coronary auto regulation is more robust in that it does not allow intra coronary pressures to reach critical levels .There is no clinically relevant intra myocardial hemorrhage reported even during malignant hypertension. *But a high intra coronary pressure can sometimes result in spontaneous coronary dissection and plaque fissure .Lipid mediated injury is vey much facilitated in a high pressure environment. Has Controlling blood pressure to optimal levels , reduced the overall CAD morbidity and mortality ? The answer is yes, ( But not an emphatic yes ! ) Some studies had been equivocal. It is very difficult to say , how much benefit is attributable to BP reduction per se and how much is attributable to indirect effect on atherosclerosis prevention. High blood pressure during an episode of unstable angina or STEMI can increase the myocardial oxygen demand and worsen the ischemia. It requires optimal control with nitroglycerine ( Preferably ) or beta blocker and ACE inhibitors.Even though HT is commonly associated with ACS, one can not be sure the ACS is preciptated by HT. Many times the sympathetic surge during an ACS keeps the blood pressure high.It is a common experience the blood pressure suddenly dropping to normal or hypotensive levels once the pain and anxiety is controlled. High blood pressure is a relative contraindication for thrombolysis.It need to be emphasised here, It is the the fear of stroke that make it contraindicated .The heart can tolerate thrombolytic agents delivered at high BP .In fact logically , hemodynamically and also practically it is obseved , thrombolytic agents administered at relatively high blood pressure (140-160 systolic) has better thrombolysis than a patient who is lysed at 100mmhg. The coronary pressure head which contain the thrombolytic agent (streptokinase and others ) need to have pressure jet effect on the thrombus.So the mean coronary perfusion pressure becomes a critical determinant of success of thrombolysis. It is a paradox of sorts , very high blood pressures are a relative contraindication for thrombolysis and at the same time normal pressure patients fare less well to thrombolysis.